With WWE busy plucking the best talent from the Indepenent scene and also creating their own stars through the NXT brand, the consistent level of wrestling quality is at an all-time high. However, the same cannot be said of the standard of in-ring promos, an art just as important to our enjoyment of the product. The WWF of the '80s and '90s was blessed with great talkers who could get their characters over on the microphone, but plenty of the current generation struggle under the shackles of heavily scripted segments and PG television restrictions. John Cena, described recently by totally unbiased fiance Nikki Bella as “the best talent there has ever been on the mic”, is a notable exception to this theory - but he now operates a part-time schedule, much like other world-class spielers Chris Jericho, Paul Heyman and The Rock. 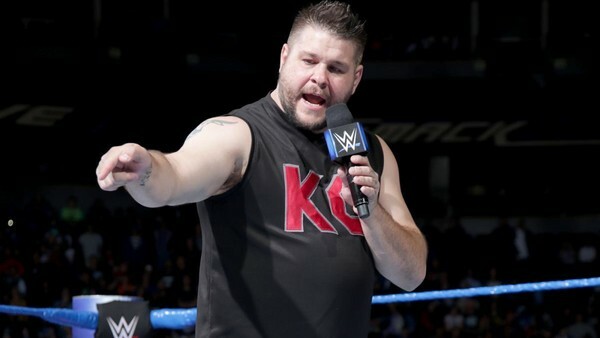 In the frequent absence of Cena and these other big personalities, the responsibility is left to the full-time roster to talk the talk on a weekly basis, and there are some superstars who stand out as having the speaking skills to be WWE’s new standard-bearers on the stick.